Welcome to Local Joe's Pizza And Delivery! Established in 2008 and located in Vail, Colorado, all the Local's know, to call Local Joe! That's because it's the locals joint in Vail, serving Happy Hour all day from open to close. Serving locals and visitors alike from East Vail to Eagle-Vail offering lat night delivery service 7 days a week until 2am. We strive to greet you with a friendly face and reasonable pricing. Home of the $10.99, 14" inch cheese or pepperoni we represent great value in a pricey neighborhood :). Let us bring pizza, subs or salads to you or visit our little dining room with full bar in the Vail Run Resort located in the sandstone neighborhood. Try our Online Ordering in Vail Only. Here at Local Joe's Pizza And Delivery we believe in a few basic things. - Make the best tasting pizza in Vail using only the finest ingredients available. - Deliver a hot and fresh product within a reasonable time frame. - Provide a great experience resulting only in customer satisfaction. 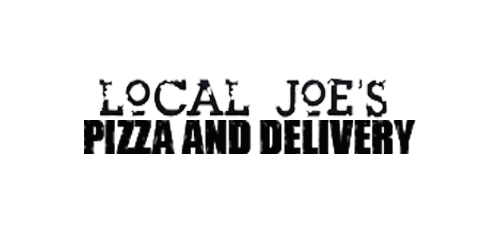 Let us deliver Local Joe's Pizza And Delivery to you anywhere in Vail!